Unityware – Clark Street Mercantile is a little store in Quebec that peddle things that are built to last. 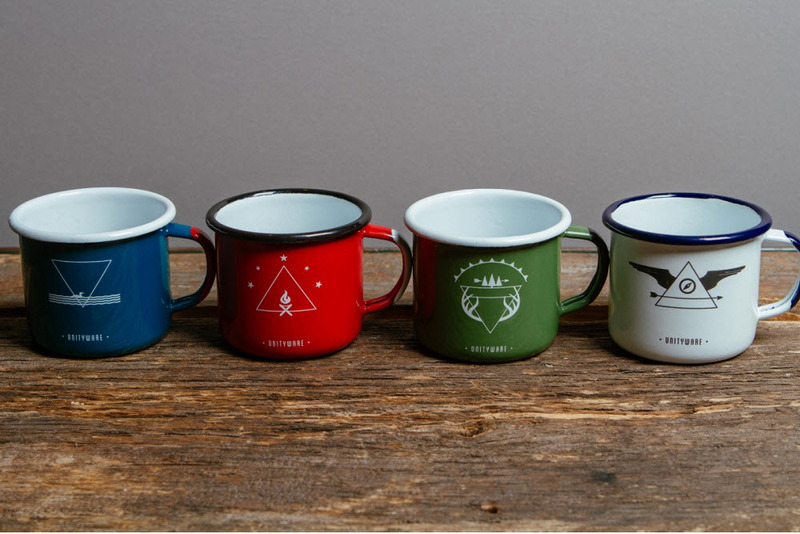 They recently embarked on creating their own collection of enamel cups that are ready to stand the test of time. Unityware is a joint partnership with Norquay Co. and handmade in Portland. The cups are made in an old vintage style that dates back to World War II. The attention to detail ensures that the product will serve generations to come, and the inaugural product is a quartet of mugs inspired by the four elements of nature: Land, Sea, Air, and Fire. Being clumsy (and a well-known cheapskate) makes me look forward to grabbing a cup that doesn’t mind abuse, and can last a lifetime. 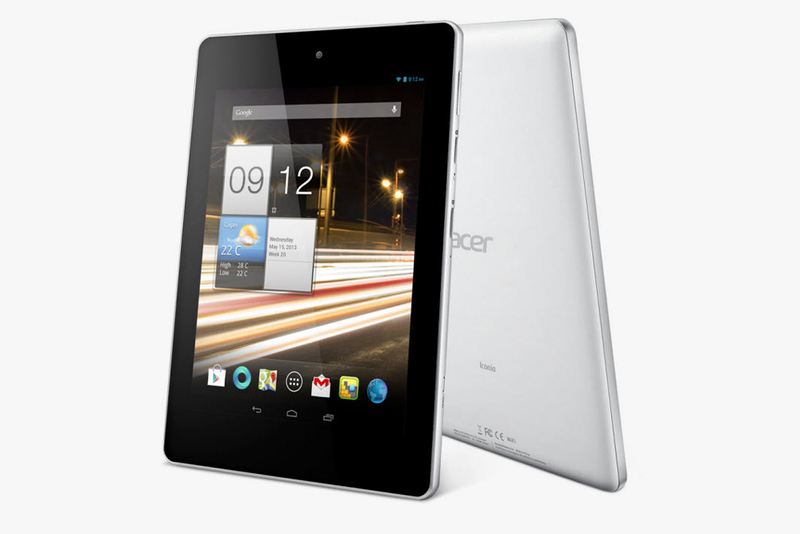 Acer Iconia One 7 – The one disadvantage tablets have to a modern day smartphone is their inability to send and receive cellular phone calls. Their large screens were a consolation and this characteristic was overlooked, but things are about to change. Acer equips their new Iconia One 7 tablet with GSM and 3G radios so that it can receive data as well as being able to make and answer phone calls. This may not seem like a big deal when there are so many VOIP apps on the market, but a dedicated radio means less dropped calls and an expectation of clarity. Other specs of the the tablet indicate a crisp high-resolution IPS screen, a dual-core processor, front and back facing cameras, and 4.4 KitKat Operating System. Magnum x Filson – You may not recognize the Magnum Photography name, but you’ve definitely seen their work. The international cooperative is owned by its photographer members with offices in New York, Paris, London, and Tokyo, and supplies pictures to newspapers and magazines all over the world. 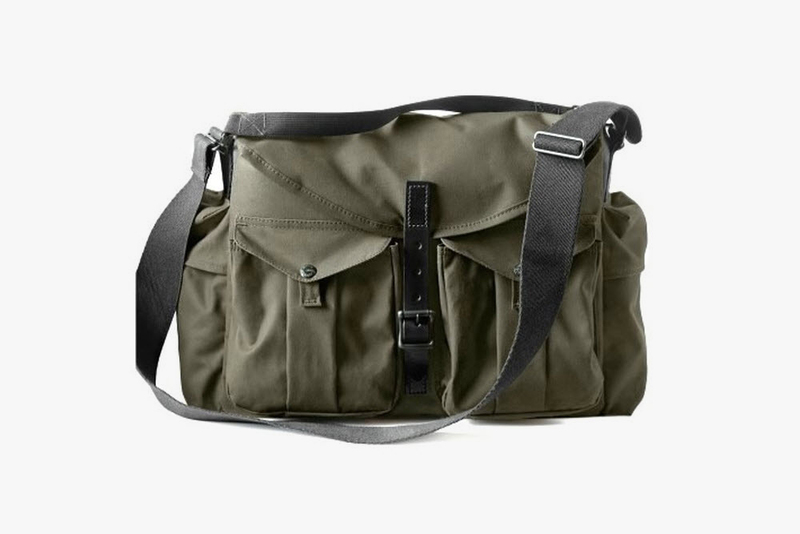 Magnum recently dispatched their world-renowned photographers Steve McCurry and David Alan Harvey to help Filson create a durable range of camera bags. Instead of the perspective of a technical designer, the bags have the expertise from photographers who are active on the field; think war-torn nations. The bags all have a traditional approach, but it’s subtle design is a facade for a bag that is filled with details and can rely on the durable Filson textile. Stussy x Converse – Converse is best known for the Chuck Taylor All Star, but within its archives are an array of classic casual sneakers. Stussy digs into the Converse crates and unearths the Skidgrip for their latest collaboration. This sneaker come with a simple low cut profile with padded collars at the heel, and metal eyelets. Stussy spices up the tennis sneaker with a checkered pattern at the midsole, and add Stussy branding on the tongue. Look for the shoes to drop in stores on Saturday, May 3. The Others – Los Angeles is a beautiful city that isn’t without its share of scandals. A long history of corrupt policemen culminated on April 29, 1992, when officers charged with the unprovoked beating of Rodney King were dismissed. This act of villainy sparked Los Angeles into riot and has become the inspiration for The Others, an upstart streetwear company. The Others debuts their Participant jersey to honor the riots and use an athletic raglan cut with “92” across the front and back. A custom patch with inscriptions about the riot sits as the top left chest. Look for The Others Participant jersey to be available now in black and in white.